Now entering the match: @brad_evans3 ! 80' - FC DALLAS SUB - Pescadito into the match for Maxi. 83' - AGAIN Rosales sends fantastic service in and it goes straight through the box. 85' - YELLOW CARD shown to Figueroa for a late challenge on Morris. 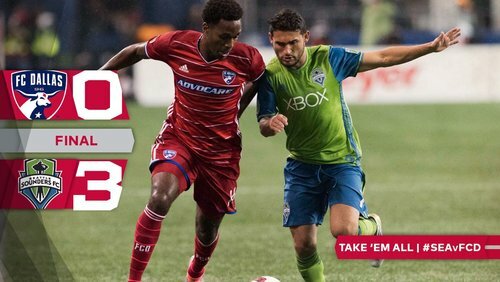 FINAL: @FCDallas 0, @SoundersFC 3 - We've got our work to do next Sunday, but nothing is over yet. 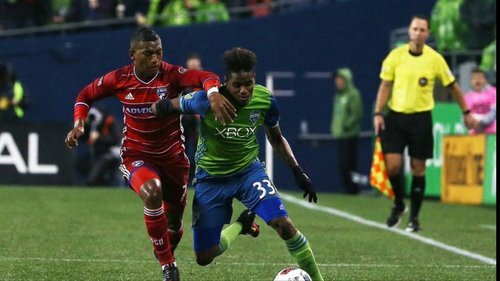 Impressive showing from the Sounders tonight, who have all but knocked FC Dallas out of the playoffs with the 3-0 first-leg victory. 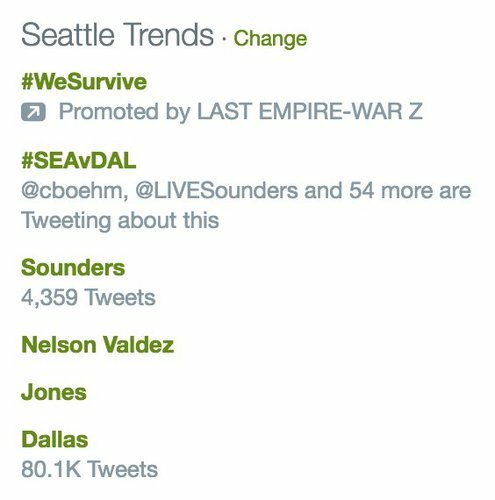 Seattle is the 3rd MLS team to win 1st leg of a playoff series by 3 goals. Both others were playing Seattle & advanced (2012 LA, 2011 RSL). I'm inviting him to Thanksgiving. 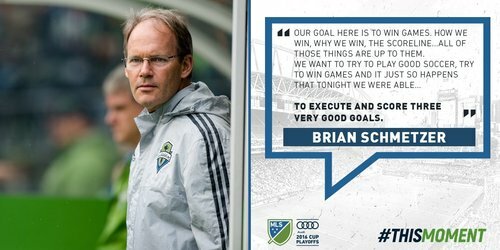 It's no secret winning is tough on the road in MLS. Why would that change when teams have even less time to prepare? Good night MLS!! Time for westworld! !